Secure your home for $200 down and $45 a month. Save time and money by installing your own alarm system. All Alarm 45 systems comes preprogrammed to make installation as easy as possible. The Alarm 45 system comes with a built in cellular communicator which makes installation faster and your system more secure because there are no phone lines that can be cut. The 2GIG GC2 panel also has a patent pending design that claims to get at least one alarm signal to the monitoring station if the system is damaged during a break in. Every Alarm 45 system includes a desk mount so no holes are drilled through walls for the alarm panel. 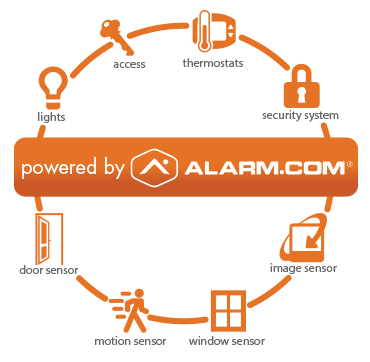 Unlike most alarm systems if your move, your system can easily move with you. 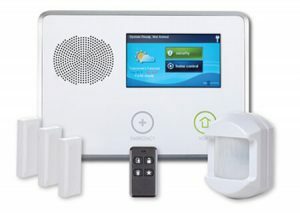 The alarm panel also includes a Zwave home automation controller. This allows you to add light controls and electric locks that can be controlled by your alarm system. Our Alarm 45 system comes with 3 door / window contacts to monitor pretty much anything that opens or closes. The motion detector is selectable pet immune for 33lbs or 55lbs. The selectable pet immunisation adds that little extra security for owners with smaller pets. This system comes with one key fob to wirelessly arm and disarm your system. 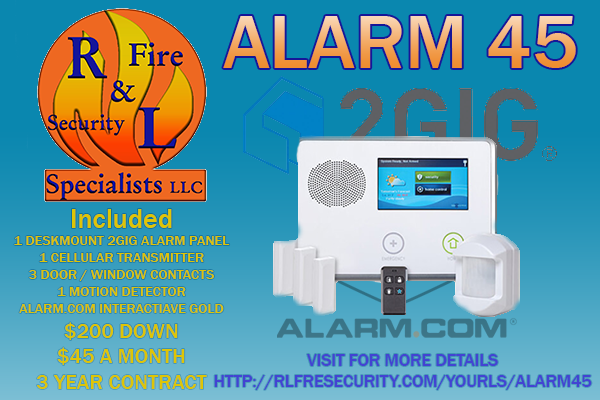 All Alarm 45 systems come with Alarm.com Interactive Gold remote services. This allows you to arm and disarm from your smartphone. With the Interactive Gold remote services, it allows you to start adding various security cameras to your system. The Alarm.com remote services allows you to set up geofence reminders so you never forget to secure your home. You can even control your Zwave lights and locks attached to your alarm system through your phone.